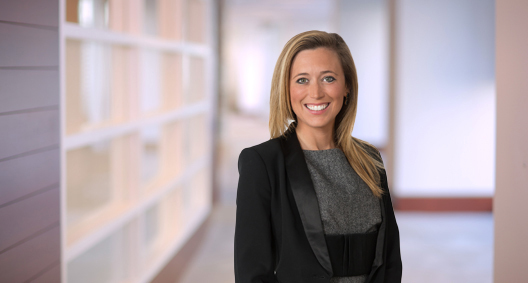 Ashlee Grant is board-certified in labor and employment law by the Texas Board of Legal Specialization and represents management in all aspects of labor and employment law. Ashlee’s practice includes representing management in both federal and state court litigation and arbitration proceedings involving allegations of discrimination, harassment and retaliation in violation of Title VII, the Americans with Disabilities Act (ADA), Section 1981 of the Civil Rights Act and the Age Discrimination in Employment Act. She also handles wage and hour claims and collective actions under the Fair Labor Standards Act, as well as claims of breach of contract and tortious interference with contracts in connection with employee confidentiality, noncompetition and nonsolicitation agreements. Ashlee also provides advice and counseling to employers on labor and employment matters, including hiring and firing decisions, employee leave, and wage and hour matters. She also has a depth of experience drafting employer policies and agreements such as executive employment agreements; employee confidentiality, noncompetition and nonsolicitation agreements; separation and severance agreements; and employer policy handbooks. She is a focused, dedicated and organized advocate for her clients, placing high value on her enthusiasm and attention to detail. Second chair in AAA arbitration defending a leading financial services company against an FLSA retaliation claim. Obtained judgment in favor of the client and claimant ordered to take nothing. Second-chaired state court trial and obtained defense judgment in favor of leading power transmission, construction and services company against claims of breach of contract and fraud case by former executive. Obtained summary judgement in federal court in ADA discrimination, hostile work environment and retaliation case against a major multinational energy corporation. Assisted a temporary staffing agency in a Department of Labor audit regarding alleged misclassification and overtime compensation owed to more than 800 temporary, skilled contract workers. Obtained summary judgement in state court in a workers’ compensation retaliation case against a leading engineering and construction company. Defended multi-national talent and recruitment agency against OSHA charge of retaliation and obtained a complete dismissal of the complaint. Obtained summary judgment in state court dismissing claims of race and gender discrimination against an energy and construction services staffing agency. Obtained a dispositive motion in arbitration proceedings against a national banking institution dismissing claims of racial discrimination and retaliation with prejudice. Represented a company in injunction proceedings in three states against former employees and a competitor to enforce employees' noncompetition obligations, arguing preliminary and temporary injunction hearings and achieving restraining orders against the employees. Assisted in the defense against a race discrimination suit brought by a large group of former employees alleging systemic race discrimination in job assignments, promotions and work environment. Drafted 24 conjunctively filed position statements to the U.S. Equal Employment Opportunity Commission on behalf of a single client in response to allegations of race and gender discrimination and a hostile work environment at a single facility. Assisted in defending a pipeline services company in a breach of confidentiality and nonsolicitation agreement matter involving two former employees. Represented an offshore drilling service provider in an ADA failure to accommodate wrongful termination lawsuit. Represented an amusement park after an employee fatality, including defending Occupational Safety and Health Administration citations and assisting with the civil litigation defense. Participated in the defense of a natural gas midstream company in arbitration regarding compliance with safety regulations for gas-gathering pipelines and processing plants. Second-chaired a labor arbitration involving a union grievance of employee termination, resulting in an award in favor of the employer and a dismissal of the union grievance. Won summary judgment on an employee's claim of racial discrimination and retaliation under Title VII.